The Florida Supreme Court June 8, 2018 affirmation of the Fourth District Court of Appeals decision in North Broward Hospital District v. Kalitan will likely impact damages assigned in future medical malpractice damage negligence actions. Citing violation of the Equal Protection Clause of the Florida Constitution, the Supreme Court decision strikes down statutory caps on personal injury noneconomic damages in the state. The 2018 Florida Statutes presently allows for limitations on specified noneconomic damages in medical malpractice negligence matters. In matters of personal and wrongful death of a patient found to be resulting from medical negligence, The 2018 Florida Statute, Title XLV Torts, Chapter 766 Medical Malpractice and related matters, Section 766.118 Determination of noneconomic damages, “(a) Limitations on noneconomic damages for negligence of practitioners” establishes the state’s noneconomic damage caps at $500,000 per practitioner. Section 766.188 (b) provision of the legislation caps noneconomic damages for death, permanent vegetative state, or severe harm to a patient at $1 million, respectively. “Arbitrarily diminished noneconomic damage awards” cited as basis to the 4th District Court of Appeals decision, follows the 2014 Supreme Court ruling in Estate of McCall v. United States which found noneconomic damage caps to be in violation of a patient’s constitutional rights to recovery. It will be up to the Legislature to determine if there is sufficient reason for Florida statutory limitations on medical malpractice damages to persist within state law. The caps were instituted in response to the state’s “medical malpractice crisis” as an abatement measure. 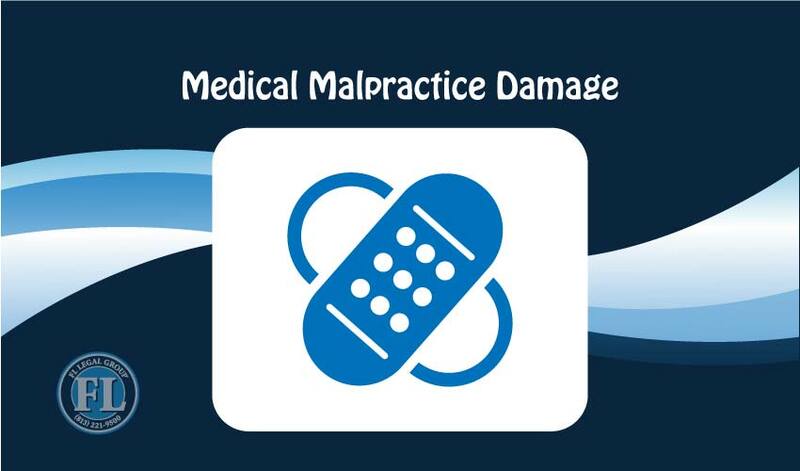 A Victim of Medical Malpractice Damage? Personal injury and wrongful death claims arising from medical malpractice were formerly subject to strict damage caps under existing Florida legislation. With recent legal precedent decided by the Florida Supreme court, claimants filing medical malpractice claims for death, permanent vegetation, or severe injury may be considered for unlimited damages. If you or a family member has suffered as result of medical malpractice while undergoing physician or practitioner care, you may be owed just remedy for patient injury. To get the compensation you are owed in court, contact a licensed attorney experienced in matters of medical malpractice tort litigation. FL Legal Group is a licensed Florida attorney practice specializing in personal injury and wrongful death tort litigation. Call (813) 221-9500 or click here to contact FL Legal Group for consultation about filing a medical malpractice claim.